A lethal virus, inimical to all conventional forms of plant life, threatens the entire Federation with starvation and dissolution. With the Federation already on the brink of overpopulation, Starfleet"s resources are stretched to their limit. Whole worlds and even complete star systems are placed under quarantine, causing interstellar food supplies to run dangerously low, and hostile alien empires to eye the weakened Federation with malevolence. But now, in this moment of Starfleet"s greatest need, Captain James T. Kirk, long believed dead, embarks on a desperate quest to find the true source of the mysterious virus. Elsewhere in the galaxy, Ambassador Spock, his diplomatic efforts stalled by the spread of famine and chaos, returns to his native world of Vulcan to confront a mystery of a deeply personal nature. Did Sarek, his legendary father, really die of natural causes - or was he murdered? Determined to learn the truth, Spock begins a highly logical investigation that soon leads him to a reunion with a long-lost friend he never expected to see again. Kirk and Spock, together again, must join forces to save a new generation from an awesome menace unleashed by a ruthless interplanetary conspiracy. 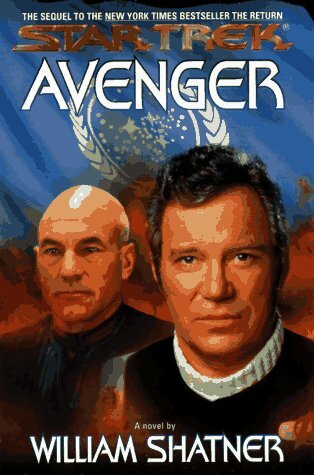 Pursued by hidden assassins and aided by old lovers and unlikely new allies, the two heroes risk everything, only to find themselves confronted by the one man who might be able to stop them - Captain Jean-Luc Picard of the Starship Enterprise NCC-1701-E.